GIA Colored Stone Reports offer thorough, unbiased analysis in an easy-to-understand format. 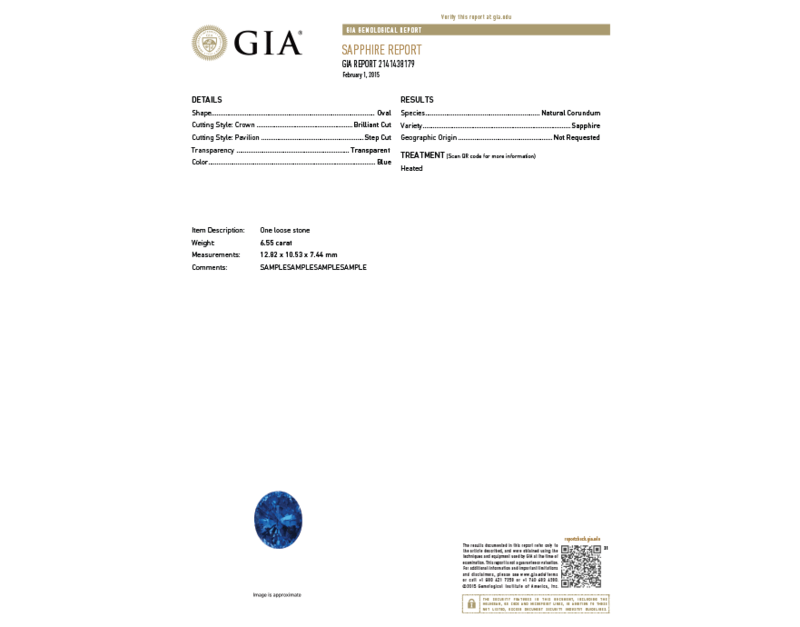 The GIA Identification Report describes whether the stone is natural or synthetic, identifies the type of gemstone, and includes any detectable treatments. This report also contains a detailed description of the gemstone such as cut, shape, weight, measurement, and color, and includes a photograph of the gemstone. The GIA Identification & Origin Report describes whether the stone is natural or synthetic, identifies the type of gemstone along with an opinion on the geographic origin of the stone, and includes any detectable treatments. This report also contains a detailed description of the gemstone such as cut, shape, weight, measurement, and color, and includes a photograph of the gemstone. Available for ruby, sapphire, emerald, Paraíba tourmaline, red spinel and alexandrite only. 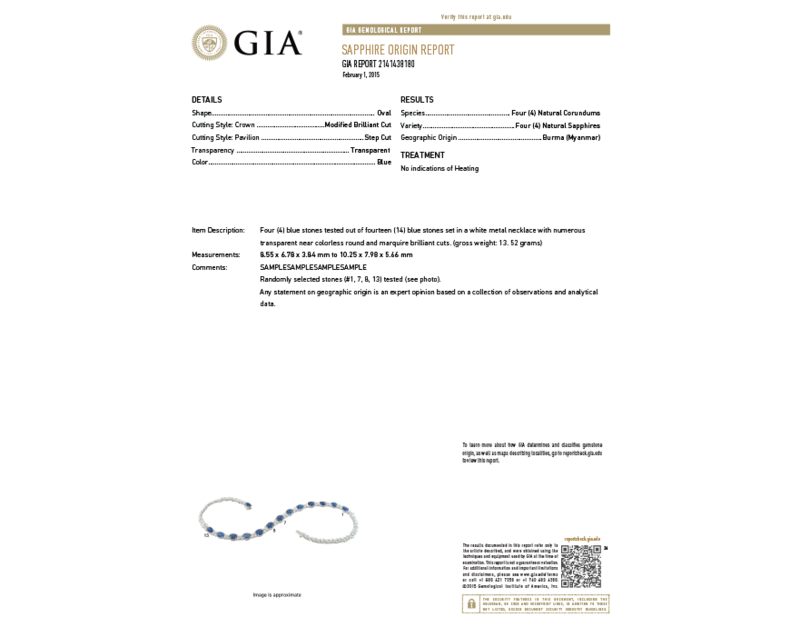 INTERESTED IN GETTING A GIA REPORT FOR YOUR GEMSTONE?